One of distinctive features of the company is a complex approach to our Customers, which provides modern, high-quality and reliable design of packaging materials and application of multicolor print. 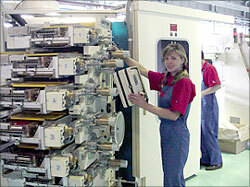 Customers of POLEX company has an opportunity to place printing order on round cups and lids. All print systems are certified according to ISO 9001 and 14001 certification.